(Note: This list given below is sorted Area wise. Dilip Kumar S., Diome Envisol Pvt. Ltd.
Rambabu Y.J., JPP Enterprises Ltd.
Suresh, Likitha Plumbing works, BWSSB Contractor. Sanju Jacob Mathew, Living Watershine Technologies Pvt.Ltd. Shankar G, Esskess Green Energy Systems Pvt. Ltd.
Raghu Ram, Aditya Technologies, BWSSB Contractor. Tammaiahppa, Classic Realty Pvt Ltd.
Arvindraj, Live-more Service Pvt. Ltd.
Somashekar. H.N, Bhargavi enginnering works, BWSSB Contractor. Naveen Kumar. 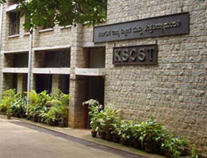 S, Sri Lakshmivenkatshwara Enterprises.